First I adopted two kittens sisters: Pixi and Mega. One day I could not find anywhere Mega, the next day I heard that a dog had killed her and a neighbor had thrown to the rubbish. 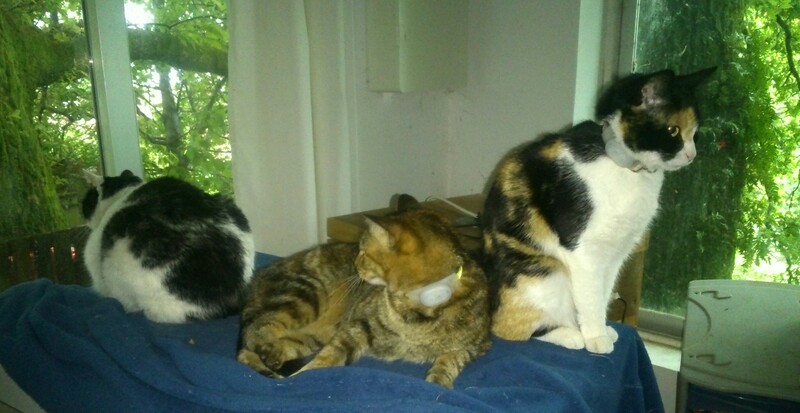 Since then, I adopted two cats, but overcame the trauma and all night I´m looking cats to keep them at home. I was afraid that something happened to them and could not help because I´m not knowing where they were. One day, searching the internet, I found the Loc8tor tracking device. He changed my life and my cats. Now they have a cat door, and they go out of home when they want. They are always playing in the garden and looking for mice, and when they want to rest come to sleep in the bed. I now live much calmer and my happiest cats thanks to Loc8tor.